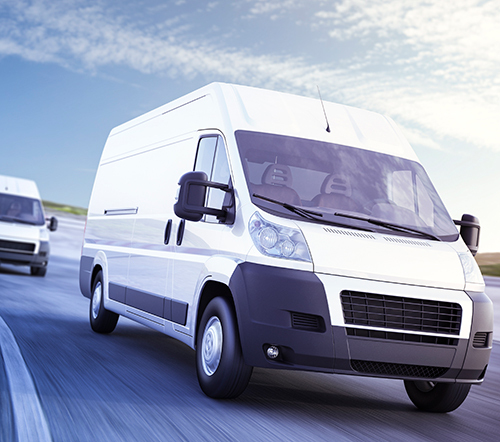 Does your organization provide vehicles for employees to use for business? Does the employee also drive the vehicle for personal use? If so, you’ve got an additional administrative issue to contend with each new year: generally, the value of an employer-provided vehicle is a fringe benefit which might need to be included as employee compensation on a Form W-2. “Personal use” of an employer-provided vehicle could include commuting between a personal residence and work location, vacation or weekend use, or use by someone who is not an employee. There are some situations in which use of the vehicles does not need to be reported as a fringe benefit. The vehicle is used 100% for business purposes. The personal use too small to account for (de minimis use). The employer has a written policy against personal use of the vehicle. total mileage for the year. If substantiation is not fulfilled, the entire value of the vehicle must be included in the employee’s W-2 compensation. There are several methods for valuing personal use of a vehicle, and each method is subject to certain restrictions. Which method an employer utilizes depends on several factors, including the type of vehicle, its specific use, mileage and organizational policies and procedures. Automobile lease valuation. There are tables to calculate this based on percentage of personal use and the vehicle’s fair market value. Cents-per-mile rule. For 2016, it was 54 cents multiplied by the personal miles driven. The mileage rate for 2017 is 53.5 cents per mile. Commuting valuation method. $1.50 for each one-way trip between home and work. However you choose to value the personal use, the amount is subject to employment taxes and must be reported on the employee’s Form W-2. The IRS provides more information on treatment of employee fringe benefits in Publication 15-B. If you have additional questions about employer-provided vehicles or need assistance in calculating how or what should be included in employee income, contact your WK advisor at (573) 442-6171 or (573) 635-6196. 21st CENTURY CURES ACT RE-OPENS HRAs FOR SMALL EMPLOYERS. The 21st Century Cures Act, signed by President Obama on December 13, 2016, will allow certain small employers that do not offer any group health plan to their employees to resume offering Qualified Small Employer Health Reimbursement Arrangements (QSEHRAs) to employees that can be used to pay individual health insurance premiums. MISSOURI REVISED STATUTE ESTABLISHES CORPORATIONS MUST PAY AT LEAST SEMI-MONTHLY. Missouri corporations that currently pay employees on a monthly basis should take note of a revised state statute that might require them to pay some or all employees on a semi-monthly basis. HELP EMPLOYEES SAVE FOR RETIREMENT WITH AUTO-ENROLLMENT AND AUTO-ESCALATION. Until a decade ago, employees had to affirmatively choose to participate in a company’s 401(k) plan, and the onus was on employees to understand the plan and determine an effective saving strategy based on their individual goals. However, the Pension Protection Act of 2006 gave employers the ability to jumpstart their employees’ retirement savings through plan features including auto-enrollment and auto-escalation. Plan sponsors that aren’t utilizing these features should consider whether they are right for your plan.